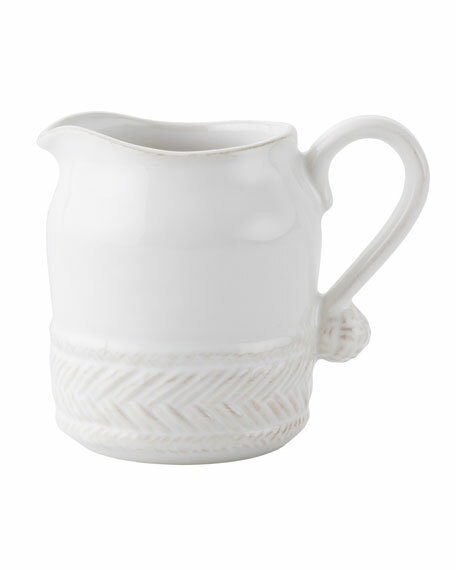 Creamer made of ceramic stoneware. Approx. 3.5"H x 3"W; holds 6 oz. Oven, microwave, dishwasher, and freezer safe.